Unsurprisingly, Keller yielded one of the highlights of our horizontal review of 2007 dry Riesling. Here some background on this wine by this highly acclaimed Estate. While 2007 dry Riesling were often on the richer side, there is true brilliance at the top, with wines of great purity, presence and finesse. The highlight of this 2007 dry Riesling retrospective proved to be the beautifully elegant 2007er Abtserde GG by Weingut Keller. 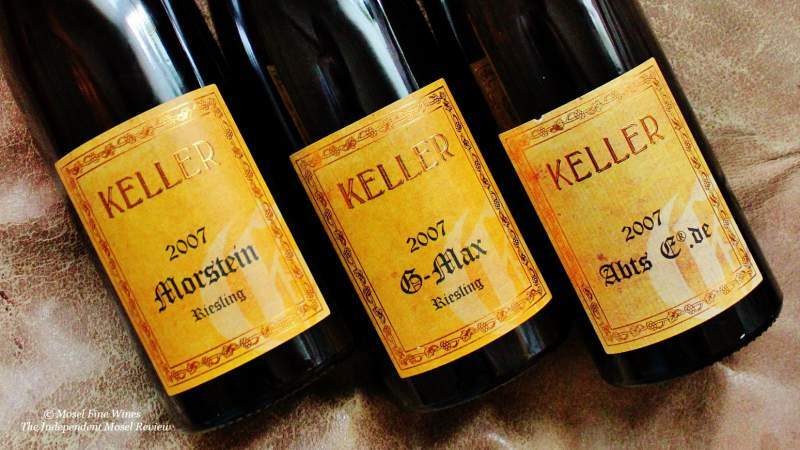 Weingut Keller can look back at a long and rich history as winemaking goes back to 1789. At all times, the Estate enjoyed a high reputation, in particular for its fruity and sweet wines. Klaus-Peter Keller, who joined the Estate in 1999, propelled it to new levels. Its wines, in particular its dry Riesling, are now as highly sought after and hotly traded as the finest Burgundies. Klaus-Peter Keller developed the dry side of the portfolio around a set of Grand Cru from the finest vineyards in the area such as Morstein, Kirchspiel and Hubacker. Part of these vineyards came from his wife, Julia, whose family owned many top parcels in Westhofen, including the Morstein and Kirchspiel. He complemented this with a prime parcel called Abtserde (more on this later) in 2006 and prime holdings in Nierstein (in the Grand Cru Pettenthal and Hipping) in 2009. He also changed winemaking, in particular for the white wines, introducing lower yields, canopy management and grape selection. 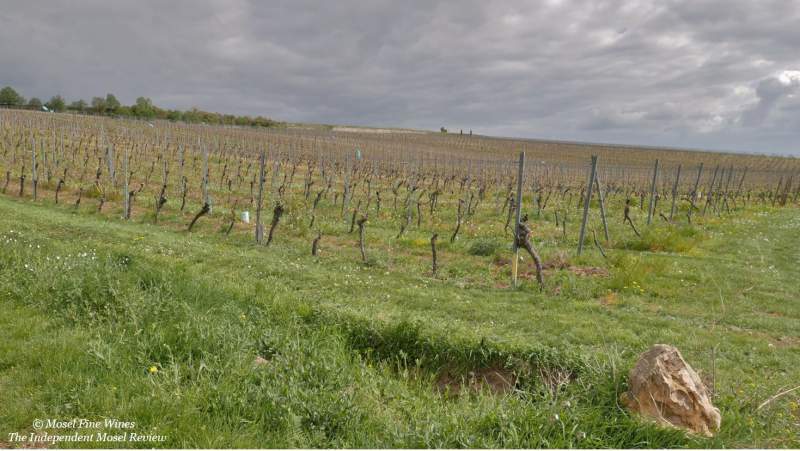 Also, his Grand Cru wines only come from the oldest vines in each parcel, the grapes from the youngest vines being declassified (in the dry “von der Fels”). Besides these famous dry Riesling, the Estate continues to produce some of the finest off-dry, fruity and sweet wines, as our 2007 fruity & noble-sweet Riesling retrospective and our report on the 2016 Bad Kreuznach Auction has underlined. Given the uniqueness of its terroir, Klaus-Peter Keller decided to bottle this wine as Abtserde (leaving the reference to the single-vineyard “Westhofener Brunnenhäuschen” to the back label). However, this enterprise quickly hit the rock of administrative inflexibility: Putting the name Abtserde (a Lieu-Dit) was forbidden after the vineyard reform of 1971. Never short of imagination, Klaus-Peter cheekily circumvent the administrative rock by launching the fantasy brand “Abts E®.de” ... which he even bestowed with its own website! In the meantime, the administrative rock loosened and the name Abtserde has established itself in its own right (albeit technically as Abts Erde). The 2007er Abtserde proved a huge success as the terroir played its strength to the full in this ripe vintage. Far from being ripe, the wine has focus, freshness and great elegance (“not bad for a second vintage,” Klaus-Peter Keller commented, tongue-in-cheek). Overall, the Estate did remarkably well in 2007, producing wines with presence and finesse. While these wines prove already enjoyable now with the right amount of airing, they will still gain from further bottle age. Anyone having one of these gems in their cellars will be in for quite a moment of Riesling enjoyment. More superb 2007er dry and sweet Riesling by Weingut Keller was reviewed in the Mosel Fine Wines Issue No 34 (Apr 2017). You are a subscriber and miss this Issue? Simply send us a request by email and we will be happy to send you a copy. You are not yet a subscriber and wish to get this Issue? Subscribe free of charge by registering yourself here below and ask us for a copy by email.